The Shurat Hadin civil rights group has announced it has submitted a criminal indictment against Hamas leader Khaled Mashaal at the International Criminal Court in the Hague (ICC). Shurat Hadin, which prosecutes international terrorist groups and their supporters, said the indictment was in response to the summary execution of 38 Palestinians in Gaza during the final days of Operation Protective Edge. Such executions without any legal due process is a clear violations of international humanitarian law, the NGO pointed out. The men were shot dead - some of them publicly - after being accused of cooperating with Israel, following the assassination of three senior Hamas military leaders and the attempted assassination of the terrorist group's military chief Mohammed Deif. But rights groups say the charges of "collaboration" with Israel were simply used as an excuse for Hamas to kill off several high-profile political opponents, including members of Palestinian Authority Chairman Mahmoud Abbas's Fatah party. The indictment noted that Mashaal run's Hamas's "murderous rule" of Gaza, and thereby is responsible for the executions. 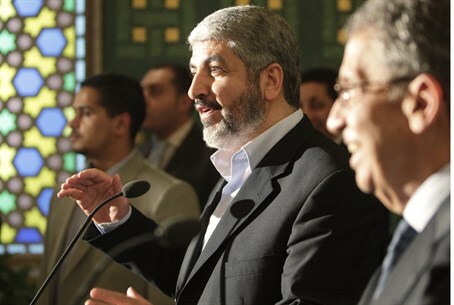 Indeed, Mashaal is Hamas's most senior political figure, and as chief of the group's "political bureau" has direct control over affairs in the Gaza Strip. Shurat Hadin founder and chairwoman attorney Nitzana Darshan-Leitner noted that Mashaal is a Jordanian citizen, and can therefore be prosecuted by the ICC because Jordan is a party to the Rome Statute. Despite that, Jordan has never requested Mashaal's extradition from his base in Qatar, nor has it sought to fulfill its legal obligations to prosecute other Hamas leaders with Jordanian citizenship over war crimes or terrorism charges. 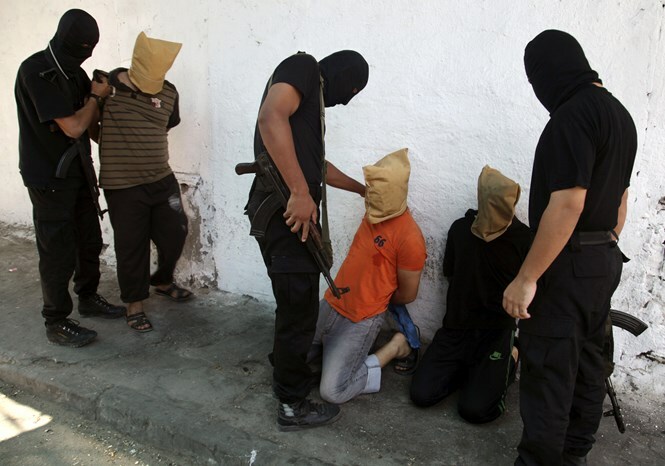 Hamas proudly took responsibility for the executions, and celebrated them as a "victory for the resistance". Footage aired by CNN shows Hamas executioners publicly reading out the verdict against some of the condemned men in a Gaza mosque.